Spinach also known as Spinacia oleracea has been around for hundreds of years and has so many amazing health benefits. Spinach goes back to Persia in the 6th century and was well known in Europe by the 12th century. And spinach can be found in stores all year long. Where it Grows – Spinach grows all over in temperate climates and in greenhouse anywhere. Different types of spinach grow all over the world with some growing in tropical climates like malabar spinach and moluccan spinach. Lots of Iron and Copper – Spinach contains a large amount of iron making important for building hemoglobin in the blood to carry oxygen to all our tissues thus preventing anemia. And spinach is very important for vegans and vegetarians who need lots of iron. Good Source of Betacarotene – Spinach also contains a large amount of betacarotene to help prevent oxidative stress and to prevent cardiovascular disease, strokes, and cancer. Prevents Macular Degeneration – Spinach helps to prevent macular degeneration thus preventing blindness. Spinach contains lutein and zeaxanthin which are important for eye health. Protects the GI Tract – Spinach contains glycoglycerolipids which is a fatty acid found in spinach cells which protects the lining of the GI tract from inflammation which can lead to cancer. Prevents Prostate Cancer – Spinach contains two powerful antioxidants called violaxanthin and neoxanthin that help to prevent prostate cancer. And extracts from spinach slow down the growth of stomach and skin cancers. Anti-Cancer Food – Spinach is a powerful anti-cancer food along with brussels sprouts, cabbage, cauliflower, broccoli and other cruciferous foods. Anti-Inflammatory Food – Spinach is a powerful anti-inflammatory food which is important for preventing disease. Inflammation is the first step towards disease so if we prevent inflammation in the first place we can stay healthy. Vitamin K – Spinach contains lots of Vitamin K for healthy blood clotting. B-Vitamins – Spinach also contains lots of B-Vitamins for good mood, stamina, and vitality. Omega 3 Oils – Spinach also contains Omega 3 Oils for great cardiovascular, eye, and nervous system health. 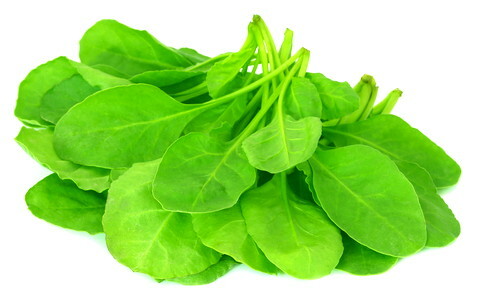 Vitamin E and C – Spinach also contains lots of Vitamin E for sexual health and great looking skin. Plus Vitamin C which is a powerful antioxidant that helps to prevent colds, flues, and other diseases. Also Contains – Spinach also contains lots of calcium and phosphorus for strong bones, manganese and magnesium for enzyme production, plus selenium and zinc for boosting up our immune system. Great Weight Loss Food – One cup of spinach contains only 41 calories so spinach is a great weight loss food. Oxalates – Spinach does contain oxalates so if a person is prone to kidney or bladder stones make sure to cook your spinach. Using – Spinach is great in salads, wonderful for making a spinach lasagna, great in green juices, and it can be used in casseroles, sautéed, used in soups, stews, and all kinds of wonderful dishes. Google “Healthy Vegan Spinach Recipes” and lots of great dishes will come up. Finding – Any good supermarket will carry organic spinach. Only Eat Organic Spinach – Regular veggies in the stores contain up to 6 cancer causing chemicals, 12 hormone disrupting chemicals, and 10 to 20 more disease causing chemicals—Eat Organic and Stay Healthy! Try Some Organic Spinach Today! Dr. Paul Haider – Master Herbalist and Spiritual Teacher for over 25 years, helping people to recover and feel healthy. You can also find Dr. Haider on FB under Dr. Paul Haider, Healing Herbs, and at www.paulhaider.com – feel free to connect with him anytime. This entry was posted in Healing Herbs and tagged Anti-Cancer Food, Anti-inflammatory Food, b vitamins, Dr. Paul Haider, finding, Good Source of Betacarotene, Google for Recipes, Great Weight Loss Food, Health Benefits, HH, Lots of Iron and Copper, Master Herbalist, omega 3 oils, Only Eat Organic Spinach, Photo, Prevents Macular Degeneration, Prevents Prostate Cancer, Protects the GI Tract, Proven Health Benefits of Organic Spinach, Spinach, Stay Healthy, USA, Using, Very Healthy, Vitamin C, Vitamin E, Vitamin K, Where it Grows. Bookmark the permalink.